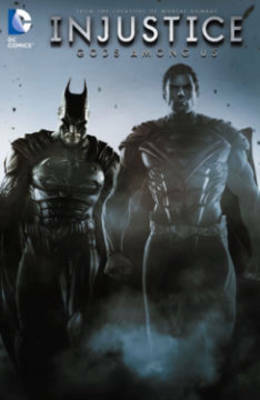 From the makers of Mortal Kombat comes the critically acclaimed prequel comic to the smash hit fighting game Injustice- Gods Among Us! Things in the DC Universe have changed after Superman is tricked into destroying the one thing he loves the most. Now unwilling to let crime go unpunished, the heroes of our world must choose if they are with Superman or against him. But not every country will submit to his new world order and neither will Superman's greatest threat-Batman! Collects #1-5 of Injustice. 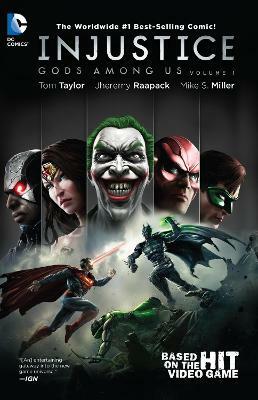 Buy Injustice: Gods Among Us Volume 1 HC by Jheremy Raapack from Australia's Online Independent Bookstore, Boomerang Books. Tom Taylor has written plays that have been produced across four continents, from the Sydney Opera House to the Edinburgh Festival. He has killed characters for DC Comics and created characters for Lucasfilm. He has written comics which have been reprinted in French, German and Spanish but he can't read any of them. He has sung for thousands in concert halls and acted to tens in the smallest of black-box theatres. He has sent Luke Skywalker on a quest and taught Darth Vader a lesson. He has juggled knives for billionaires and eaten fire for passers-by on the street. He has written for film screened in California and radio aired in Melbourne. He has won many awards for his writing and lost many of his indoor soccer finals. He is the father of two and the husband of one.